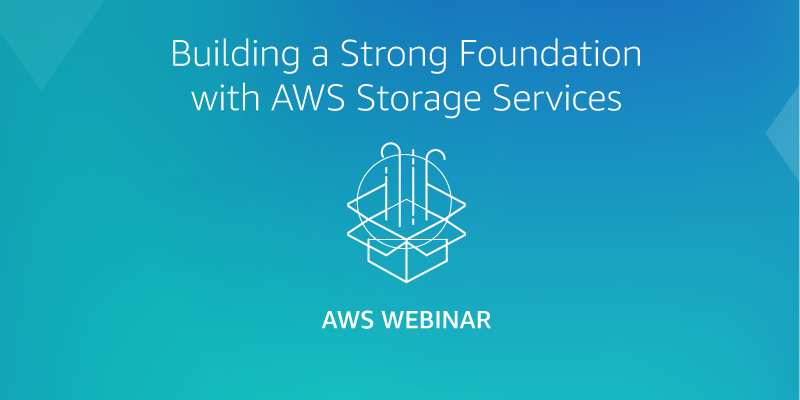 From storage to migration, this webinar series helps education users get introduced to AWS services. Amazon Elastic Compute Cloud (EC2) is a web service that provides secure, resizable compute capacity in the cloud. 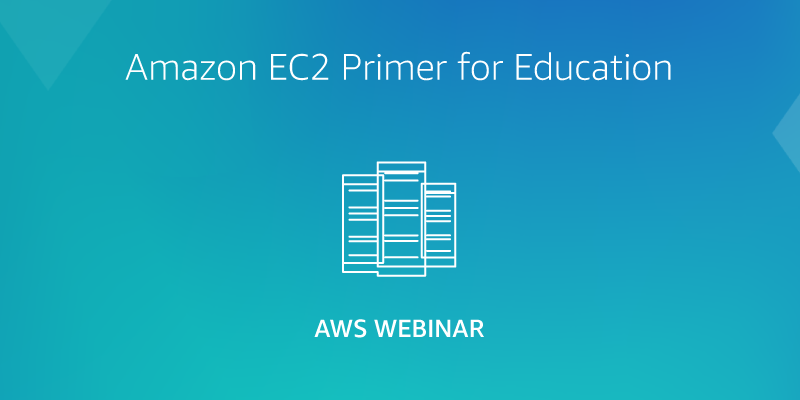 View this webinar to learn the basics of Amazon EC2 and how it is being used in education. You will gain an understanding of compute instance types, purchasing options, and the benefits of each. Cloud storage provides education with a reliable, scalable, and secure alternative to on-premises storage systems. AWS offers eight different object, file, and block storage options supporting applications, archiving, and compliance options. This webinar will provide an overview of the services and key education use cases ranging from data center replacement to video storage and file sharing. Services covered include Amazon S3, Amazon EFS, Amazon EBS, Amazon Glacier, Amazon Storage Gateway, and the Snowball family. This webinar will introduce key database concepts and AWS products relevant to education. Learn how institutions use AWS database services for websites, student services, and learning analytics.Topics include choosing to manage your databases and selecting a service, licensing options including BYOL, data warehousing, and how databases tie into AWS storage options. 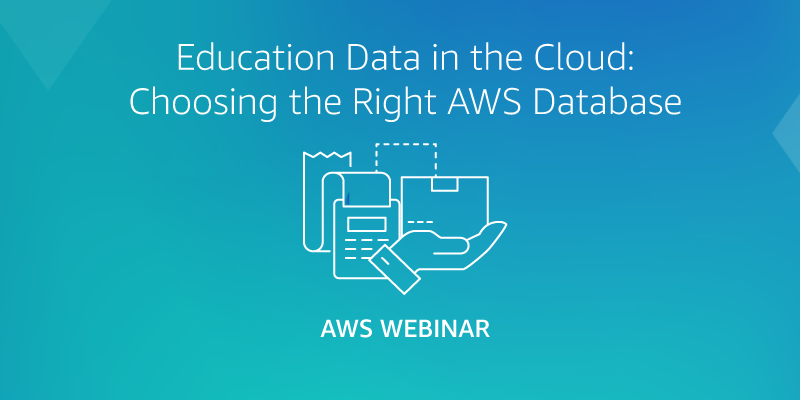 This webinar will help educational institutions understand their options to begin migrating data, servers, and workloads to the AWS Cloud. 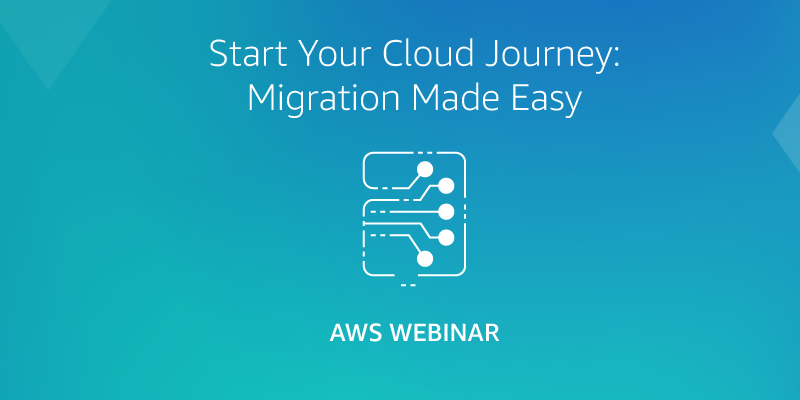 You will learn how to start a transition to AWS and the tools available to support migrations. We will examine how education customers have migrated to AWS using AWS Server Migration Service, AWS Database Migration Service, and VM Import Service. The webinar will also feature partner solutions that can help smooth your institution's transition. Starting your cloud journey? 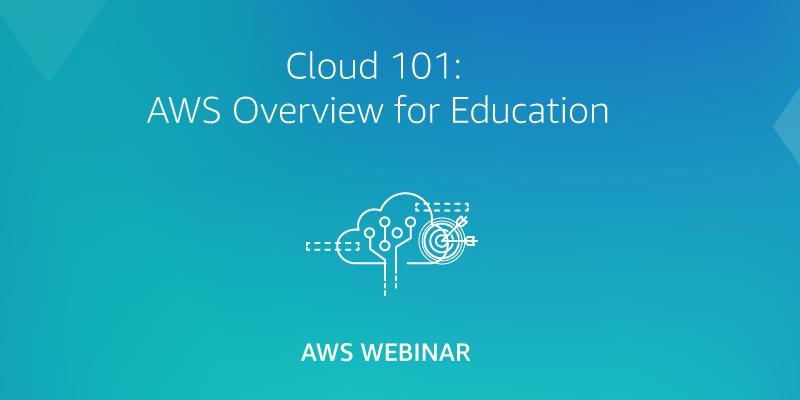 View this webinar recording to answer your most basic questions including what is the cloud, what services does AWS offer, and how does the cloud help in education? You’ll learn how AWS helps across a campus - from improving access and teaching cloud in the classroom, to speeding research and making university IT operations more efficient. You’ll learn key use cases at universities across the globe, and how you can get started.